Enter the beach club with a BOOM! 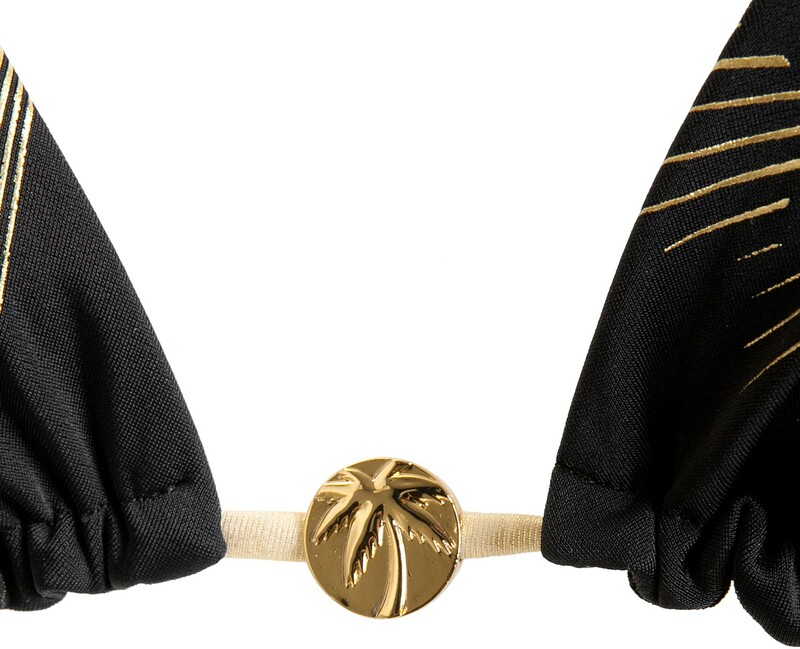 This exclsuive eniqua triangle bikini will be the highlight of the summer. 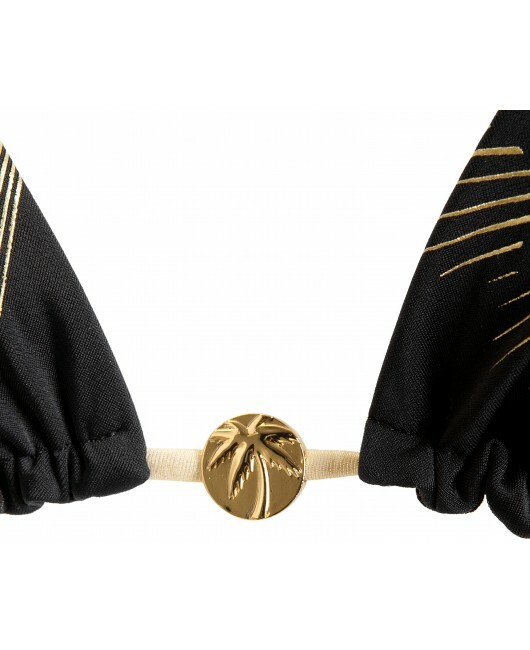 Black italian fabric with a golden, comic-style "BOOM" print and with golden ribbons. The triangle top comes with removable pads.